Yesterday I had an interesting four-way video conference. I was at home in my apartment in Manhattan using Skype. The other parties were scattered around the country. Two guys were sitting together in an office in Mountain View, Calif., using Polycom video equipment. Two other guys were in their own offices, I’m not sure where, one was on Skype like me, the other was just using a web Browser and his notebook’s Web camera. If this had been an audio conference call, it wouldn’t readily occur to anyone to think about what every party on the call uses to connect. The phone network just works. Though if you know anything about the history of the telephone, you know that back in the early 1900s, phone networks operated by different companies weren’t always compatible. So sometimes in old photographs of business executives at their desks, you see several phones, each for a different network. It’s a bit similar with video conferencing today. Generally speaking, if you’re going to use Skype, the other parties to your call have to use it as well. The same thing is generally true, though not entirely, with video gear and services from the numerous players like Polycom and Cisco, to name only two. This interoperability gap tends to discourage the use of video conferencing generally, unless you’re a large company that has invested in a big installation of, say, a Cisco Telepresence Suite, or maybe a Vidyo router. 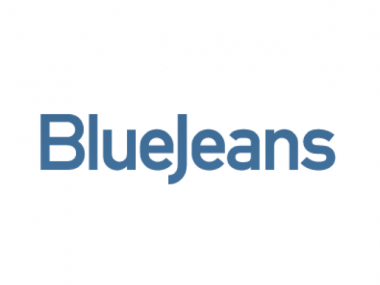 The reason for my video call was to talk with execs of the start-up Blue Jeans Network, which today announced a $25 million C round of venture capital funding today led by New Enterprise Associates, with prior investors Accel Partners and Norwest Venture Partners also participating. The investment brings its total capital raised to $48 million. Blue Jeans operates what is essentially a universal video conference exchange, sort of a Switzerland for video streams. The company is a year old and so far has connected a quarter million people in 3,000 cities around the world. When you call in via Skype the service detects what you’re using, transcodes the video and audio streams live, and serves them up to whoever you’re talking to in the format of the service or application they’re using. It works with a lot of video applications and hardware including Skype, Microsoft Lync (which oddly enough, despite their common owner, aren’t interoperable yet), Cisco and Polycom gear, Google Video chat and pretty much any other combination you can think of. Corporate customers named so far include Facebook, Match.com, Foursquare, Gawker Media and Stanford University. Co-founder and CEO Krish Ramakrishnan is a former Cisco exec and Accel Entrepreneur in Residence. He was one of the two guys sitting in the Mountain View office using Polycom gear. Back in 2005, he was CEO of Topspin before it was acquired by Cisco. In the room with him was Stu Aaron, chief commercial officer. His last gig was with Bloom Energy, and before that he also worked at Topspin.